HERSHEY: It’s difficult competing in a live match against an opponent you work out with in the wrestling room. 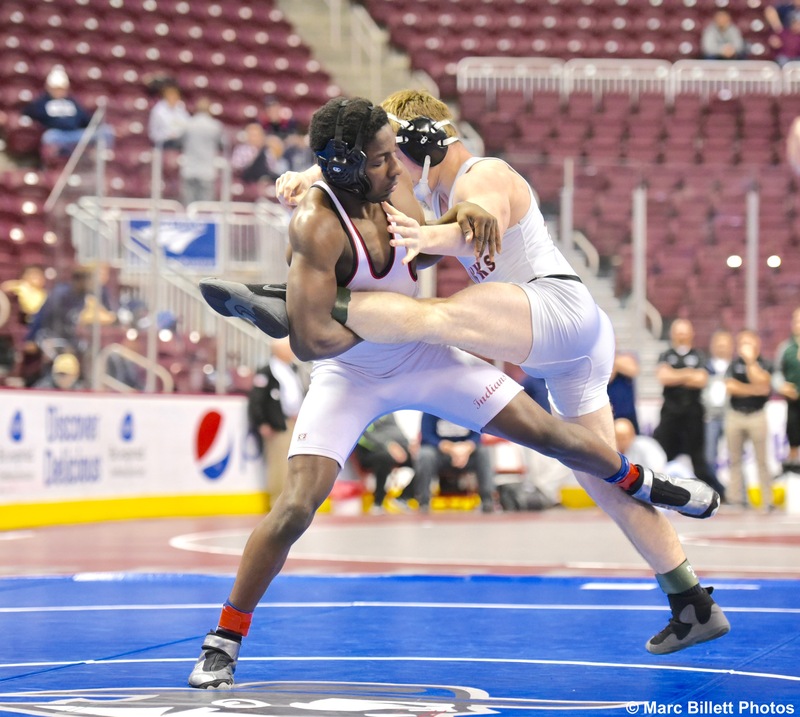 Susquehanna Twp.’s Edmond Ruth and Susquenita’s Dalton Group found that out in the premier finals bout in Saturday’s District 3 Championships at Hershey’s Giant Center. Ruth knew Group and vice versa. There were no surprises, but it didn’t take away from an entertaining bout — the best of the Class 3A and Class 2 session — that saw Ruth come out with a 7-2 decision that was closer than the score. “Before going into that match, I was nervous,” said Ruth, who is ranked No. 1 in the state at 170, according to PA Power Wrestling. “It gets nerve-racking, because you know what he is going to do, and he knows what you are going to do. If this match was any indication, there will be another scrap between these two standouts and friends in the near future. The score says a lopsided five-point win, but those in attendance will say otherwise. This was a one move match that came down to a 50-50 no call and Ruth haymaker that turned into another victory. It was knotted at 2 in the third period, thanks to a first-period takedown by Ruth and two Group escapes. With a minute left, Group locked in a loose standing Merkle, and Ruth had both hands down at one point. Ruth popped up a couple of times, and no points were awarded, much to the dismay of the Blackhawk faithful in the stands. “In the third period, seeing the score and how it was still tied, I knew what I had to do next,” Ruth said. “It was hold him down and get near-fall points or let him up and go for another takedown. Ruth transitioned into a double underhook and put Group on his back for the final 35 seconds for a five-point move and the match. But Group, ranked third in the state, wasn’t disappointed with the setback. He showed he can stay with the champ, and both wrestlers know they have a good chance at seeing each other in next week’s regional event at Wilson High School. “Problem was, I kept trying to get that two, and I put myself in a bad position,” Group said. “That’s when he got those double unders.